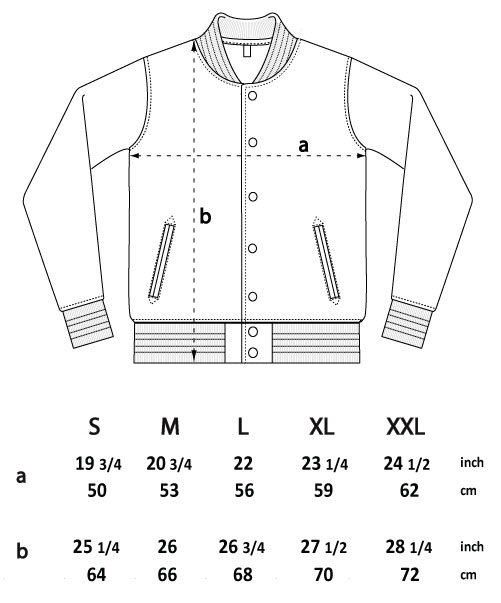 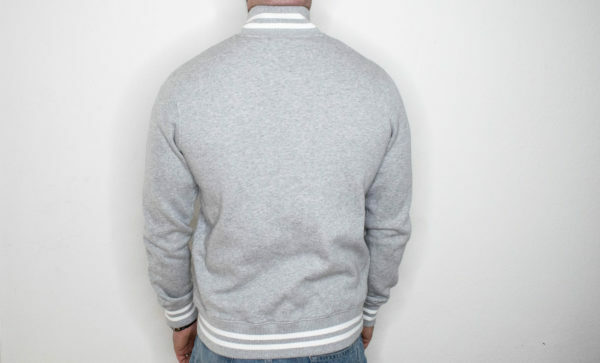 Grey varsity jacket in great material. 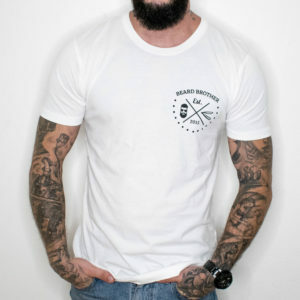 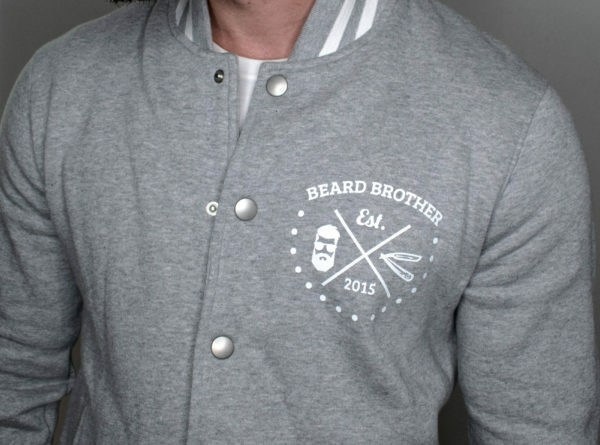 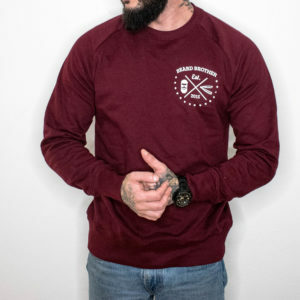 Beard Brother screenprint logo in left cheast. 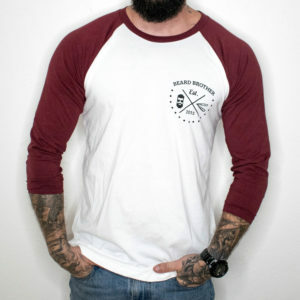 Model on picture is 174cm, 75kg weight and wears size Medium.